Dobre Kadry. Centrum badawczo – szkoleniowe Sp. z o.o. is an institution oriented at delivering advisory, training and research projects. Since its establishment (2006), the main objective has been providing consultancy and training services in the field of acquiring external funding and implementing projects financed from the European Union Funds as well as European educational programmes. Priority of our activities is the development of the potential of Lower Silesia and making best possible use of opportunities provided by European funds. We focus on acquiring funds and managing soft projects financed from European Social Fund. We also perform action for preparing and implementing projects financed from educational programmes of the EU. Currently the company employs 4 people, according to the needs cooperates with over a dozen, up to tens of experts on civil law contracts. A number of various target groups are in our scope of interest (people who are older, with disabilities, in danger of social exclusion). Activities implemented by our company refer both to organizing and implementing training courses for these target groups as well as in finding new, innovative solutions allowing maintaining social activity. From the beginning we acquired funds and successfully implemented 18 projects amounting to over 4 mln EUR. From this number, 14 projects were financed from the European Social Fund, 4 from the Lifelong Learning Programme. Munka-Kör Foundation for the Hearing-impaired people. The Munka-Kör Foundation was esteblished officially in 2003. This is the only civil organisation in Hungary, which assits the employment specifically for hearing-impaired people in the labour market. The number of our kolleges is increasing continually, currently we employ 19 workers as well as 30-50 volunteers who support our activities. The foundation supports the employment of deaf and other hearing-impaired people uniquely. The activites of the foundation are concerned in the entire country, where we support the hearing-impaired people to get equal treatment in the labour market. We have 400-500 clients in each years, who take part in counsellings and 100-120 of them were employed in the open labour market. Our foundation is a public benefit organisation, it provides public activities in a civil way and form. Our focus is to ensure equal opportunities. 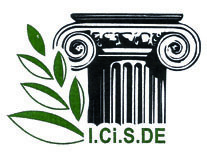 Institute of Citizen’s Sustainable Development and Health (ICISDE) is a Greek non-governmental organization, which was founded in 2011. Its founders are executives with extensive experience in the implementation of national and international projects of a scientific nature-oriented activities in the public sector, aimed at improving the quality of life of citizens, including people with disabilities. ICISDE prepares and implements projects related to human resources management and training, tourism and catering services – in hotel, public health, entrepreneurship, information technology, environmental protection, regional development, research. Hotel HP Park Plaza is one of three hotels from B & D Hotels S.A. group, which has its headquarters in Warsaw. The company has been operating since 1991. B & D Hotels S.A. are a member of the Chamber of Commerce of the Polish Hotel. Hotel HP Park Plaza has corporate agreements with major travel agencies or tour operators. Hotel HP Park Plaza also puts great emphasis on the gastronomic part of their business, which is related to the employment of highly skilled chefs and confectioners. 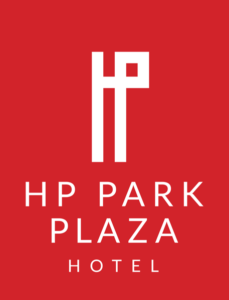 Hotel HP Park Plaza functions with great success on the Wroclaw market for 16 years. During this period, he became an autonomous unit, self-financing. All hotel managers are people with higher education code. Knowledge and skills extend regular by trainings organized by the company. Currently Hotel HP Park Plaza in Wroclaw employs about 50 people. Hotel HP Park Plaza is actively working in the field of vocational education students from HORECA sector. For this reason it is a perfect representative of employers, whose participation in the project will allow – one hand to develop products relevant to the needs and expectations of employers, on the other – to the wide dissemination of achieved results with the use of networking partner. Employees of the Hotel HP Park Plaza is actively involved in various kinds of activities that are directly or indirectly related to vocational training carried out both at Poland and abroad.